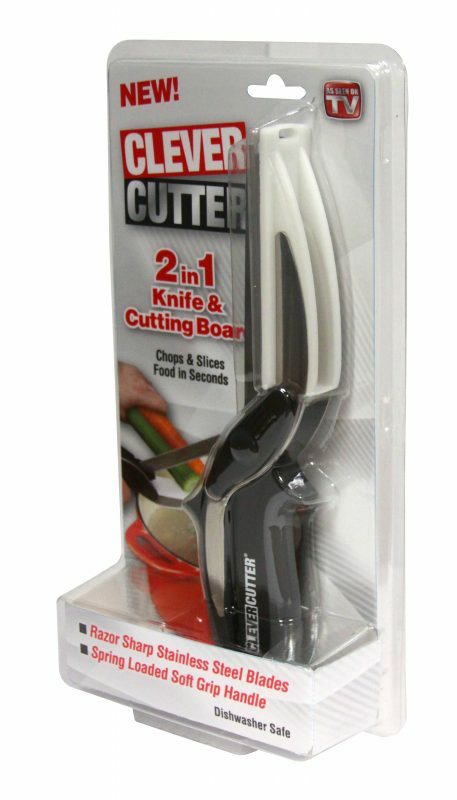 Clever Cutter® Knife and Cutting Board chops and slices food in seconds. Its razor sharp stainless steel blades slice through foods quickly and easily. Great for slicing and chopping veggies, fruits, cheese, meat and more. Includes a locking safety hinge for storage, and it’s dishwasher safe making clean-up a breeze.